When my 60th birthday mark loomed, I decided to declare 2018 “the birthday year”, and to book an extravagant holiday for my husband and me. I had taken similarly luxurious trips (with stays at the Mandarin or Peninsula group of hotels) intermixed with hostel-type places, but that was 10 years ago. With my husband of only 3 years, and more elevated expectations, I decided to make my next trip worthy of a marquee birthday. I gave myself a very generous budget to cover off the hotels, private guides, private plane, business class transfers etc. If there was ever any conflict, I always took the higher-priced option (my shout, my rules!). $1000 per night was a baseline for a night’s stay. Most stays were more. So we just returned from 2 weeks in luxury hotels with some of the world’s most coveted brands (Ritz Carlton, The Aman, Sofitel (Metropole), Park Hyatt) in Japan and Vietnam. And I have some thoughts that I think they should all want to hear. So why don’t I simply make my thoughts known on TripAdvisor? Frankly, for luxury properties, those reviews are mostly a waste of time to read and for travellers to write. The top 5 to 10 hotels are all rated very highly: 4.8 out of 5 on average, and with gushing reviews by honeymoon couples. In fact, hoteliers could be congratulating themselves on great aggregate reviews that are actually masking real problems. Also, I am speaking from the perspective of the affluent, active retiree. However, my sight and my hearing and level of fitness (and frankly patience) are not what they were when I was a road warrior. So here my top 10 irritations (with possible solutions). Comment cards are almost always irrelevant to my actual experience. And annoying. After having to answer the same questions, on the same scale, either online, with the bill or slid under the door, is ridiculous. And for the hotel, the results will be mostly meaningless. As I said before, all 5 star hotels will be rated highly. So the comment cards feel like some top-down measurement program to keep Head Office happy. But it can never actually capture enough feedback at a sufficiently detailed level to be meaningful or actionable. However, I admit that we rarely had the time to document those annoyances that made our stays less than perfection. We are talking about “the devil being in the details” here. So, here’s an idea: everyday, give a few VIP guests a recording device, and ask them to take 1 minute to make 1 observation on what could be improved that would make a difference. Common problems will surface soon – things that that would never be captured in a blunt measurement tool, like “on a scale of 1 to 10, rank the cleanliness of the room”. Really, what 5 star hotel is not clean? I would have been grateful for an interesting instructional YouTube video, queued up and ready on the smart TV. 3. Lighting is a problem everywhere! Walking into a dark room and then patting down the walls looking for a master switch is a terrible way to end a lovely evening. It’s no surprise that as a woman gets older, the amount of skin care and beauty products in the kit just magically multiplies. Bathroom sinks are over sized for reasons of modern aesthetics I assume, but those hotel vanities just never get any bigger! I end up putting everything that the hotel provides on the floor to make room! I get it: a suite at the Ritz on the Club Floor with a sofa bed and breakfast with snacking opportunities all day is a good deal and makes good sense for families. Not so much for business and leisure travellers seeking down time and tranquillity. A new class of adult-only Club floor perhaps? New hotels like The Aman in Tokyo have been very smart and environmentally clever about putting those bathing supplies in bigger, well marked standalone containers. In contrast, others continue to use those tiny little plastic bottles whose labels are virtually unintelligible. Picture my poor husband, hot shower running, calling me to help him decipher which bottle was which! All of those extra amenities like sewing kits, shoe polish etc should be re-thought as well: I cringed every time I opened a drawer to see more pre-packaged stuff. Now, as guests we still want to have access, and do not want to have to call down every time we need to shine our shoes. But there has to be a better way. Too heavy and not powerful enough, this necessary tool is the most neglected amenity in even the best hotels. It feels like they were mass purchased when the hotel opened, stuck in a drawer and forgotten. Every make up mirror should be placed at a level where you can actually use it with out getting your outfit wet as you lean over the sink. And there should be models with variable lighting: no one likes going out in daylight looking like an over made up gargoyle! How did a simple beast become so complicated? Every hotel had a different setup and so another learning curve. We searched in vain for an explanation of how to use the technology just to turn it on! We needed the equivalent of a “Read me first” manual. Night lights should be mandatory, but even when they are provided, there are never enough and never in the right places. More than once, I bruised and cut open my knee trying to find the facilities in the dark. In future, I am going to put one on my personal packing list. Now that I look back, I see that most of the annoyances could be addressed by having the hotels take their rooms for a “test drive”, if you will. I know that some hospitality corporations have had “mystery guest” programs, and they may still. But clearly, they are not operating at a detailed enough level, since so many of these issues came up repeatedly. And when a common issue surfaces, there are next generation technology solutions which could easily be applied to the luxury guest experience, even in those elegant, older hotels like the ones we enjoyed this Spring. Cheryl is a reader who contacted us recently, a little frustrated with spending $1000+ a night for hotel rooms but found silly mistakes were commonly made. Things that from the customer experience point of view, that they were almost all not understanding. She knows she could have gone on Tripadvisor and reviewed each property one by one, but felt that would be a waste of time since these hotels are all rated highly very highly. Instead, she opted to write this piece for A Luxury Travel Blog and we thank her for that. We would love to hear from other readers to hear whether they have encountered the same experiences, or whether they have annoyances of their own. We would also love to hear from hoteliers – and particularly representatives of the hotel brands with which she and her husband stayed (Ritz-Carlton, Aman, Metropole and Park Hyatt). A refreshingly honest review of luxury hotels with not only criticism but recommendations to improve the overall experience for all those who follow in her footsteps. We are booked at the Walford Astoria in Hawaii for a week in January I will certainly keep Cheryl ‘s observations in mind. I found this a really interesting post with a number of legitimate concerns. I can relate to many of them, having stayed in many high end luxury hotels over the years. 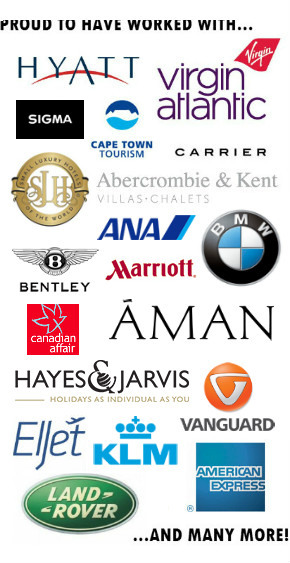 It would be interesting to hear from the luxury brands that you encountered from your trip. I would imagine they have a mystery guest program of some description but it’s clearly still leaving some issues still outstanding. You addressed issues that are of my concern too. Instead of making reviews on TripAdvisor I chose to have a blog instead and to point out what I liked and disliked about my stays in luxury hotels and fine dining restaurants. That may be only a drop in the ocean but at least I make my comments in public. A tip regarding TripAdvisor: it helps to read always the bad reviews, some may be unjustified but with a bit of exercise you can distinguish them from justified ones! You raise some interesting points – and suggestions Cheryl. I agree with some of them but not all. I’ve always diligently completed feedback cards as I see them as an ideal way to offer balanced feedback (when it is deserved). Re: inadequate in-room orientation – I like your idea of an instructional YouTube video, queued up and ready on the smart TV. I’ve seen something similar in a number of hotels in Japan but not quite as you suggest and it would be great to see this implemented widely. And credit to you Paul for publishing something that isn’t either just another piece of wall to wall gushing or an anodyne walk through the nuts and bolts of the facilities! Thank you, Rob. Of course, however ‘perfect’ a place is, it’s never possible to please all people all of the time, so it comes as no surprise when I read of little annoyances or imperfections, and I think it’s still important that they’re shared. What does disappoint me, though, is that not one of the brands I reached out to through Twitter has actually come on here to comment publicly (or indeed responded to my tweets). I’m therefore going to personally email all the PR departments in question now and hopefully that might yield some responses. I think this has the potential to be a really helpful discussion if they were to engage and show that they cared about this feedback. “Find the Light Switch” is my least-favorite late-night hotel game. And you’re spot-on regarding the makeup mirrors. It’s not just women that need them; near-sighted men also find them useful for shaving. The vanity problem you cite is a struggle at the majority of hotels. There’s one item where I’m in the opposite situation to you: night lights. My partner and I are both very light sensitive, and it seems like every hotel room device has a glowing light that keeps us awake. We now bring Post-Its to put over the various lights in order to dim them so we can sleep. Apparently the night lighting fails for both those who want light and those who can’t abide it! Oh dear for that amount of money you would hope to be left needing nothing. I love the idea of having the videos on the smart tv ready to go even a little welcome video that the bell hop could start up. That would take away awkward conversations with staff and mean you make the most from your stay. You should pitch the idea to hotels it would be fantastic.